Dr. Renato Aves provides plasma rich in growth factors (PRGF) at our Tampa, FL practice to help your body recover much efficiently and effectively from oral surgery. One of the primary concerns patients tend to have about oral surgery is the necessary recovery period, which can be especially lengthy for tissue grafts and regeneration. Some may even put off necessary procedures because they don’t want to go through months of uncomfortable, inconvenient healing. The PRGF technique uses your own blood cells to provide the nutrients your body needs to quickly heal and successfully build new tissue. To learn more about plasma rich in growth factors or find out if you may be a candidate for this treatment, contact our Tampa, FL oral surgery office today for a consultation with Dr. Aves. PRGF is a method used to harvest your own blood cells, distill them, and introduce them at the surgical site to speed healing and encourage new tissue growth. If you opt for PRGF, Dr. Aves will begin the procedure by using an intravenous needle to draw out just a few ounces of your own blood. Next, he will purify it in a centrifuge to separate the plasma rich in growth factors from other components, such as white and red blood cells. This allows us to isolate the growth factors, which contribute to healing, from the blood cells that can lead to swelling, clotting, and other unpleasant sensations. This PRGF process typically takes less than one hour and generates all of the growth factors you will need for your procedure. On the same day or at a different appointment, Dr. Aves will then perform your oral surgery, completing it by smearing PRGF over your wound to help you recover. After your surgery, this enriched plasma provides important proteins and compounds to your tissue, aiding healing and stimulating regeneration. Since it is made from your own blood, your body should be able to use PRGF to simply accelerate your natural recovery processes. Are undergoing oral surgery. PRGF is particularly useful during tissue grafts and dental implant procedures. Do not suffer from any blood disorders, such as excessive clotting. Often experience a difficult or lengthy recovery from surgical procedures (for example, if you suffer from an immune condition, chronic disease such as diabetes, or are a smoker). PRGF may not be necessary for minimally invasive oral surgeries or those that only involve healthy tissue. When Do We Use PRGF? Reduces the risk of infection, excessive bleeding, swelling, and other side effects or complications. Shortens the expected healing period for oral surgeries. Is safe. Since the PRGF comes from the patient’s own body, it easily integrates and cannot spread disease. Is minimally invasive, since Dr. Aves only needs to extract a small amount of blood. intravenous harvesting at a hospital. Most insurance providers do not cover the cost of PRGF or similar treatments, but many patients consider this procedure a worthwhile investment in their oral health. Is convenient, since it can be performed in conjunction with other treatments, often in a single appointment. Can enhance the results of oral surgery. For example, it may lead to greater tissue regeneration during and after bone grafting. 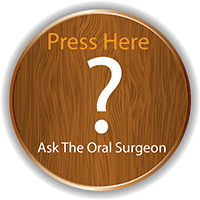 PRGF can speed your recovery from oral surgery and enhance your outcomes. Contact the Tampa Bay Institute of Oral Surgery and Dental Implants today to learn more about this treatment or schedule a consultation with Dr. Aves.